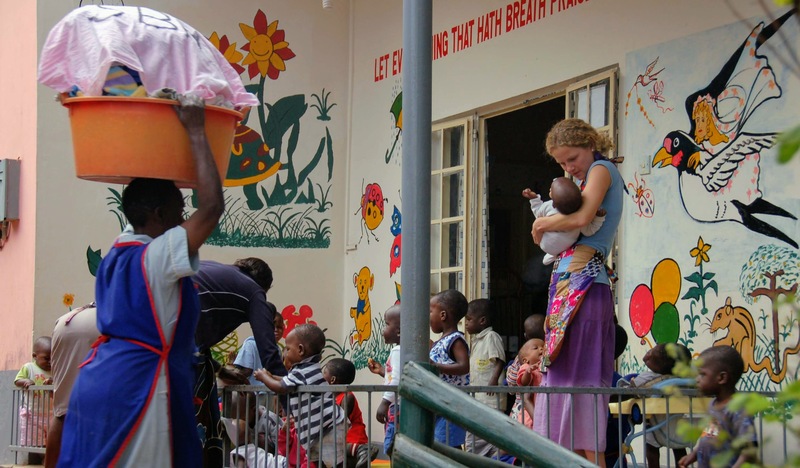 Sanyu Babies Home, Uganda. A similar photo from the same day touted "amazing little ones rarely cry and will accept the touch and care of any stranger around." The explosive growth of the volunteer tourism industry in recent years has been a part of marked changes in the way that the Western public both perceives and interacts with international development. Research repeatedly shows how voluntourism is both caused by, and the root of, many common issues in the field. At the university level, there are signs we are already moving away from this practice – several professors teaching IDS courses at McGill, for instance, refuse to allow certain organizations to advertise before their lectures – and further examination of the way we deal with voluntourism as a problem with development reveals important lessons that can be carried forward to improve the field at large. Though it’s become a common refrain in development studies, other fields and members of the public are often unaware of how problematic voluntourism is. A voluntourist is an individual who is incorporating volunteer work into an international trip, but the premise of their experience is often fundamentally flawed – for example, they want to care for orphans, without having any background in childcare or social work, and in the end may do the children harm. Another study found that orphan tourists in Malawi went home with a superficial and limited understanding of poverty as related to luck, happiness, and the absence of materialism. With a lesson like that, how could they ever confront the true causes of poverty? 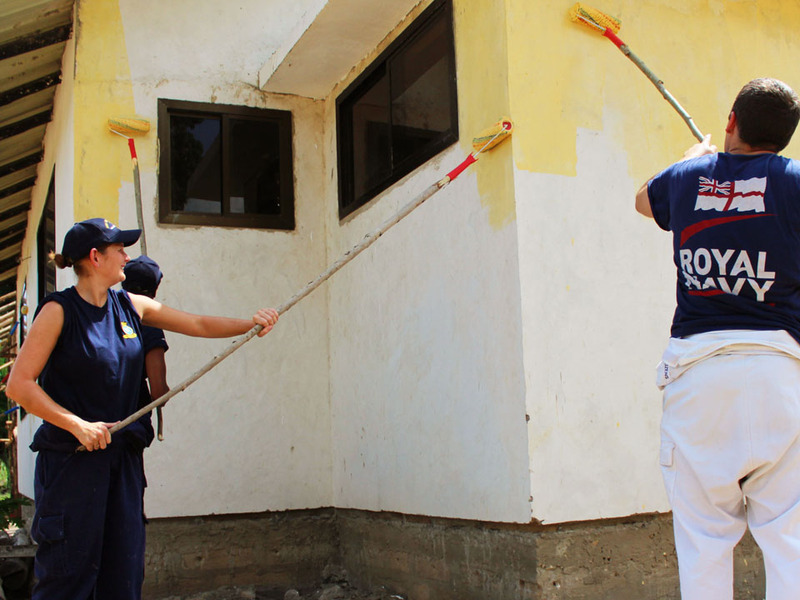 Members of the British Navy volunteer to paint a children’s care facility in Tanzania. One of the key ways that an average person can get involved is through volunteering. Unfortunately, evaluating different volunteer opportunities against best practices is both difficult and often overlooked. Of course, the self-critical discourse associated with development is increasingly spreading into public consciousness, in part thanks to vocal individuals like the makers of Barbie Saviour, a satirical Instagram account with over 160 000 followers that deftly disparages the white saviour complex. Voluntourism tends to support the inequalities it purports to fight, and several important links can be drawn between it and colonialism. These or similar issues, too, are represented even in professional development work, like underplaying native agency and the inappropriate prioritization of Western knowledge. Voluntourism is now a multi-billion-dollar industry that sends millions of individuals abroad every year, and university students are one of the key target demographics. It would be difficult to explain this phenomenon without acknowledging the obvious: like any major institution, a university does not exist in a vacuum. Whether we talk about student-faculty activism, the previous public- and private-sector experience that informs the ideology of teaching staff, or the slick media produced by some charities that specifically target young people, the school is embedded in complex systems that it both affects and is affected by. Academics have been some of the most vocally opposed to the practice; you might expect that of all the places for voluntourism to find a home, a university campus would be quite unsuitable. But, in practice, it’s a mixed bag. 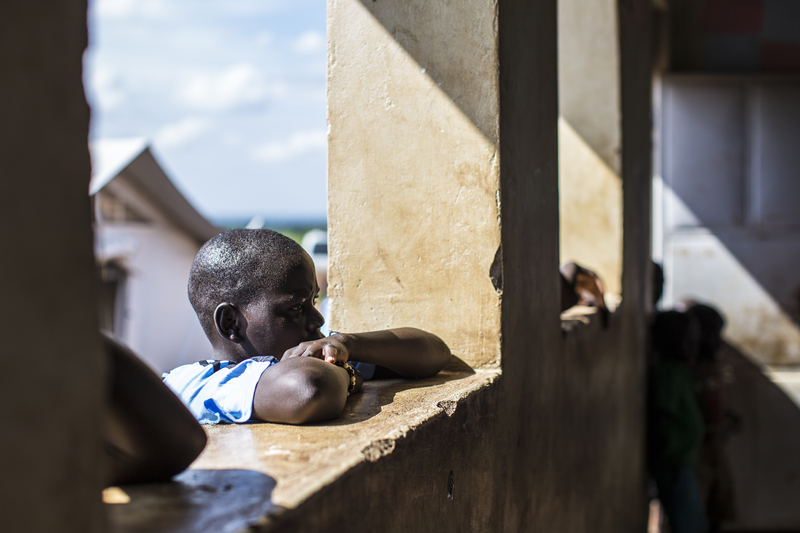 Children in northern Uganda gather to observe a classroom interior. Moving forward, there are a few important lessons for those involved in development to keep in mind – mainly, emotional skills like self-awareness and self-management are necessary to move this work in the right direction. Especially in a contentious field like this one, thoughtful questioning and activism are invaluable to making long-term improvements. Criticisms of development can sometimes fall to moralistic and limited arguments, serving to irritate instead of educate, destroy rather than construct; “These poor orphans are being hurt by voluntourists, we have to stop them!” says little compared to an investigation into why voluntourism exists, or how exactly it impacts these children. The former is also needlessly confrontational, whereas the latter is knowledge that can be shared with others who can combine their efforts to further the cause. As such, it can be useful to frame issues as opportunities for improvement, because focusing on the problem can become unproductive, or an attack on individuals and organizations involved. It can also be easy to lose your sense of perspective when you’re inundated with worried talk of world issues. But development studies, though still steeped in controversy, stands far and away improved from what it constituted even a few decades ago; I celebrate the fact that universities teach subaltern studies and post-development discourse, while still being familiar with our deeply flawed history and stories like Jeffrey Sachs’, who was the principal economist behind the very public failure of the Millennium Villages Project to eradicate poverty in Africa. In turn, we should neither be satisfied by the progress made so far nor fatalistic about the purpose and value of development. Dismantling voluntourism at the university level cuts one concrete role that students can play in upholding structures of inequality. And, because of how intimately linked the business is to young people, it could have a profound impact on the entire industry. Work is already being done to combat voluntourism, but it’s crucial to remember the big picture: large-scale change takes time. And taking this on will have to be a many-pronged endeavour, addressing even the underlying factors – the attitudes that lead to it, for instance, or poor communication of best practices in development – because this is just one aspect of the fascinatingly problematic intersection between the public and development. Alanna Dennis is a U1 student currently pursuing a degree in International Development Studies. She specializes in Latin America and Malawi and is fascinated by the Global Justice Movement.